Let’s take a scenario where business wants to see how the revenue will be affected if they give discounts on specific product groups depending on the quantity bought by customers. We will be implementing this scenario in the below steps. 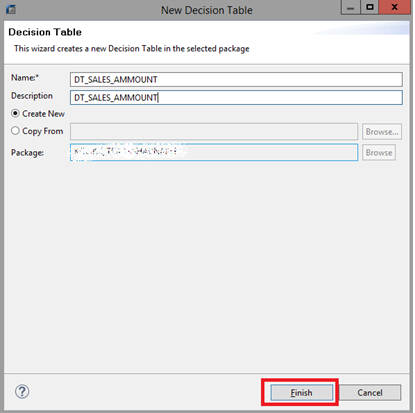 In this blog, we will be creating a decision table in HANA based on the table.The process of creation of Decision tables with “update values” and Decision tables with “return values” are almost same except that we use columns from the physical tables as actions in first case while parameters will be used as actions in the latter one. 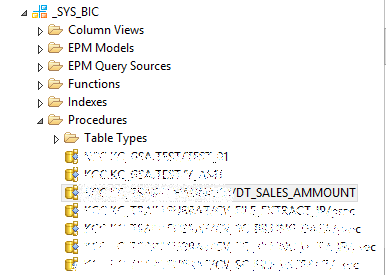 Now, there is a transaction table called SALES1. It is storing the data for sales for different products IDs and their quantity and amount along with the sale date. 3. 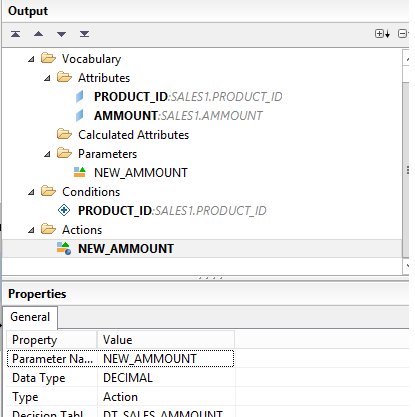 Select PRODUCT_ ID and AMMOUNT columns from the table. 4. 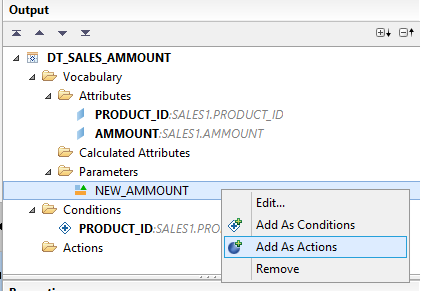 Select PRODUCT_ ID under the “Attributes” and Right click and select “Add as Conditions”. By this we are this we are marking the product IDs from the SALES1 table. 8. 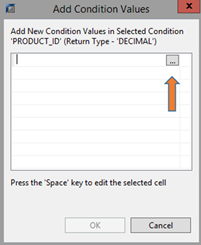 Right click on PRODUCT_ ID and click on “Add Condition Values”. By doing this we are adding the specific product ID in which business wants to the new amounts. 9. 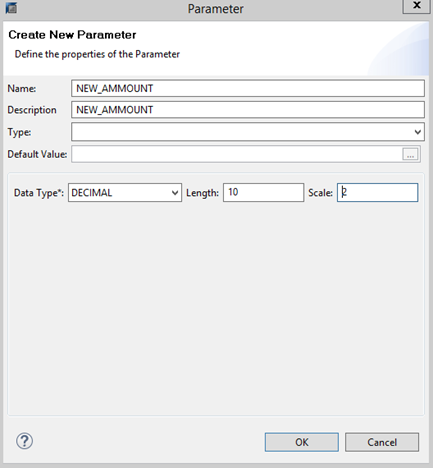 Now, right click on “NEW_AMMOUNT” in the Details panel and click “Set Dynamic Value”. 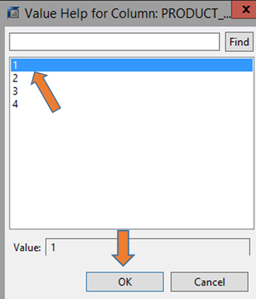 This is the part where we set the variance (1.5 times of the original value) which is desired by the business. 11. 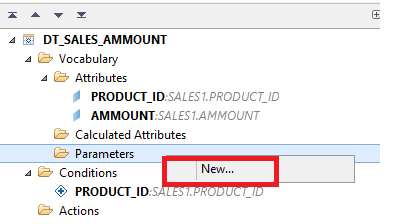 Now, again right click on PRODUCT_ ID and add another condition value by selecting another product ID (2) from the list of values and repeat the process again. 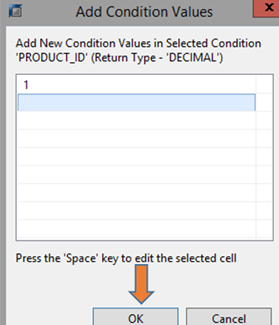 The “Dynamic Value” (variance) will get repeated automatically by default for the other “PRODUCT_ID” as well. We can change as per business requirement. 12. Save and validate and save and activate the decision table. 13. 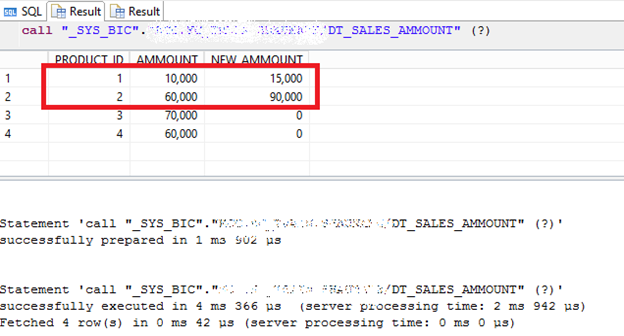 Once the decision table is activated successfully, then go under “Catalog” and expand the “SYS_BIC” schema. 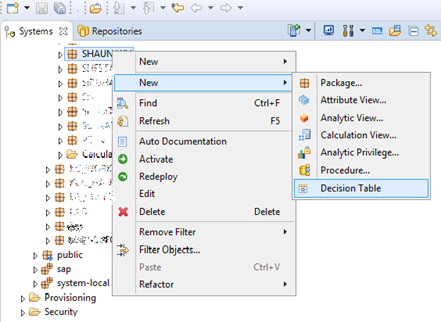 In the “SYS_BIC” schema, go under “Procedures” and look for the newly created decision table. 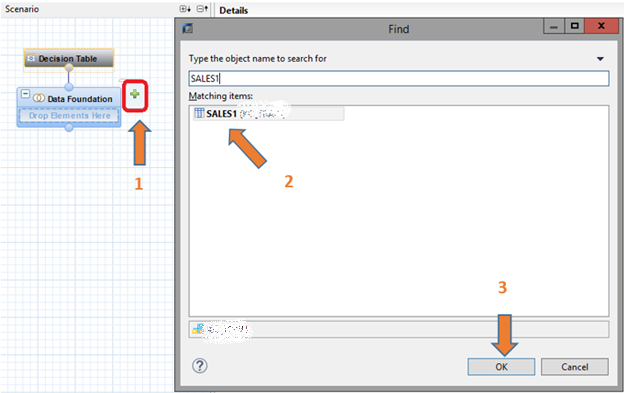 Open the SQL console in HANA studio by right-clicking over the system. By this exercise, we have implemented the business logic where business is seeing the AMOUNT is getting changed by 1.5 times for the specific product ID groups (1 and 2) which was bought by the customers. We can add more conditions as well (e.g. QUANTITY) based on the business requirement.